India's External Affairs Minister Sushma Swaraj will meet Bangladesh Prime Minister Sheikh Hasina in Dhaka on Sunday. 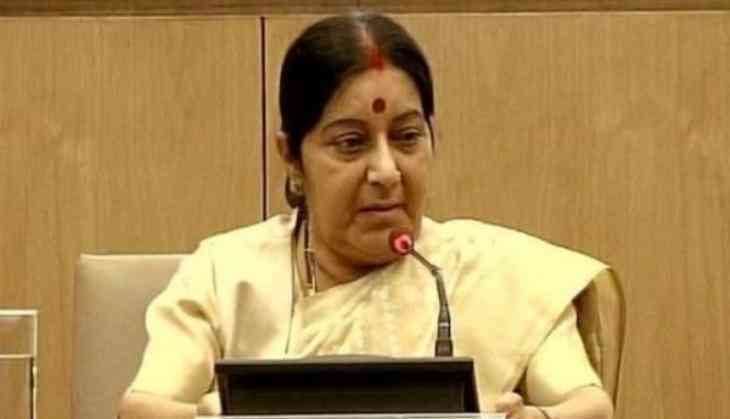 Swaraj, who is on two-day visit, will also attend the fourth Bangladesh-India Joint Consultative Commission (JCC) meeting, the Dhaka Tribune reported. This is Swaraj's second visit to Bangladesh. She last visited the country in 2014. The JCC meeting is expected to review the implementation and progress of decisions taken during Bangladesh Prime Minister Sheikh Hasina's visit to India this year. The meeting will coordinate, oversee and follow-up implementation of initiatives as well as explore new avenues for cooperation. The third JCC meeting was held in New Delhi in 2014. India and Bangladesh have witnessed a deepening of bilateral economic cooperation in recent years, particularly in terms of increasing volumes of trade and investment flows.